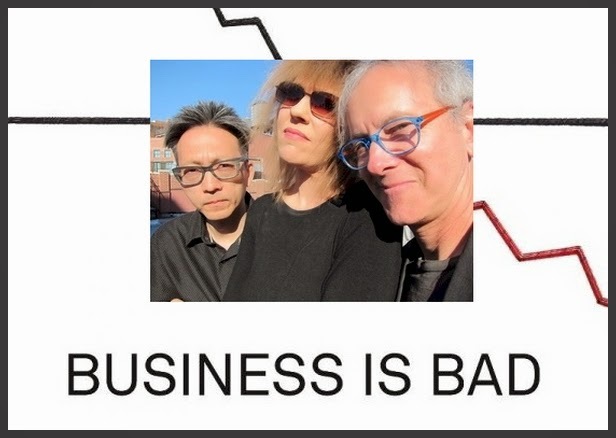 Karen Mantler torna in gran stile all'XtraWATT con un album di grazia e umorismo sublimi: Business is Bad. Con lei Doug Wieselman e Kato Hideki, felici collaboratori e compagni in Plastic Spoon - peccato dal quale Karen ha dovuto però redimersi, per severo volere del Giudice Arnold - nonché componenti del Trio che prossimamente presenterà il lavoro dal vivo. Karen Mantler is back, with a new collection of songs about the human condition and troubles large and small. Nonchalantly and disarmingly, Karen sings of homeless people in the park, the disappearance of friends, the frustrations of being monolingual, the challenge of improvisation, music with a mind of its own, and encounters with bill collectors, lawyers, snowstorms, and ash-spewing volcanoes. Through it all she sounds like a survivor, monitoring mishaps with deadpan humour. Almost 20 years have passed since the recording of her last XtraWatt album, Farewell, which praised and buried Arnold, Mantler’s meanwhile legendary cat. Since then, Mantler has kept herself busy by the most diverse means. She was briefly a Virgin artist with her Pet Project recording of 1999, and has appeared on several albums with parents Michael Mantler (The School of Understanding) and Carla Bley (The Carla Bley Big Band Goes To Church, Looking for America, Appearing Nightly), been a member of the Golden Palominos, participated in diverse Robert Wyatt tribute bands (Wyatt responded by recording some of her tunes on Cuckooland), as well as hommages to Disney and Nino Rota. She has also played accordion on street corners, given harmonica lessons, and served coffee in SoHo. The struggle to maintain her own projects has perhaps strengthened Karen’s idiosyncratic songwriting. The cast of Business is Bad is smaller than on her previous discs and, arguably, more effective. Her voice, and her distinctive chromatic harmonica and piano are foregrounded. Subtle and supple support in the realization of the pieces is provided throughout by Kato Hideki - who also co-produced the album - and Doug Wieselman.